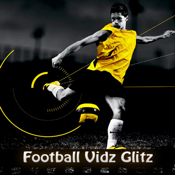 Welcome to Football/Soccer video clips application: “Football Vidz Glitz” — an app for football lovers. You will be able to watch 450 carefully selected YouTube videos ranging from every sphere of football sport like; Managers, Players, Goals, Celebrations, Goal Keepers, and more. We have divided these spheres in categories. Common concept is like: Why should I download this app when I can watch videos on YouTube myself? You can. You will. But, you would not be able to bookmark your all of favorite YouTube videos in your browsers or they will get buried in your favorite list on YouTube profile when the time comes to show that to one of your friends and you can’t find it easily. This application “Football Vidz Glitz” has acutely selected some gem of videos revolving football world that every football lover should watch, once in lifetime. It’s not only list of videos but it’s a first step in football education to football beginners who wants to know about the legends of this world famous game. “Sharing” and “Favorite” adds the viral touch to the app. You can share the videos directly to your Facebook Wall and/or on Twitter timeline. “Favorite” feature will add your favorite videos in “Favorite Folder”. What’s the bonus here is; you get to manage all that at one place in this application. No need to go and spend searching for hours on “right video” for you on YouTube. 4. Category 2: Greatest Football Players — 150 Videos on the football’s greatest players from Maradona, Pele, Cruyff, Beckenbaeur, and Platini to Ronaldo, Bergkamp, Shevchenko, Pirlo, and more. 5. Category 3: Goals — Compilation of 50 brilliant videos on equally brilliant goals scored in this beautiful game. 6. Category 4: Player Skills — 20 selected videos on some awe-inspiring technique mastered by football players across the globe. 9. Category 7: Fandom — 25 videos on fan culture, chants, and ultra-groups. 10. Category 8: International Tournament — 25 videos on Best of International Tournament; includes highlights of all the International Tournament Finals and some highlights on greatest games played in That Tournament. 11. “Surprise Me” feature: You will be given a list of 15 randomly selected videos to watch from all categories. Fun-Fact: This application has potential of getting you addicted to it, if you do don’t blame us. It really has high rating of addictedness for beloved devotees of this game. Friendly Note: Do let us know in comments/review section below on what you would like us to add in the video compilation of this app in our next updated version. We will update the version on 1st of September 2011, so do let us know on how we can improve the video galleries in this app.